So, the safest way to do so should be using nodeValue. When you are working on file size sensitive work, e.g. Flash banner, try to use deprecated ActionScript as one of method to reduce the swf file size. 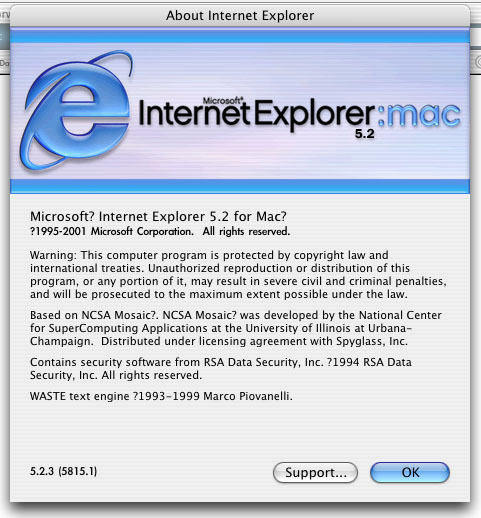 Can anyone confirm Flash Player 9 is really work on Mac IE? 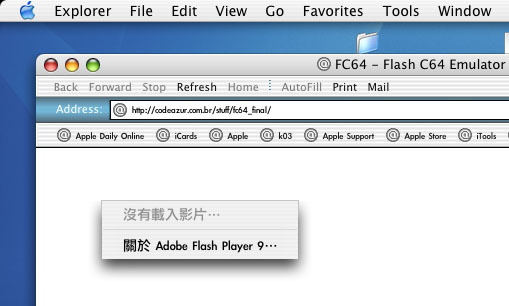 I have installed the lastest Flash Player 9 in Mac(PPC), but I cannot watch any Flash 9 works, e.g. those entries in Flex Derby, my own Flash 9 works in Mac IE (No problem in Safari, Firefox, Netscape and no problem for Mac IE to view Flash 8 content). It just show a blank white screen and when I “right click”, it said “Movie cannot load”. Although I am not a Mac IE user and M$ had stopped Mac IE already, but I just want to make sure Flash 9 is an ideal solution for deploy truely cross platform, cross browser application. I guess, is it the AC_OETags.js not work in Mac IE?